Keep the fun going in all types of weather at our five favorite places to play, hang, and have fun with your friends and colleagues in climate-controlled comfort around Houston. Whether you’re dodging pouring skies, steamy summer days, or unusually chilly nights, there’s plenty of fun to be found in glorious, climate-controlled comfort around Greater Houston. Here are some of our favorites, including a brand new edition in West Houston. 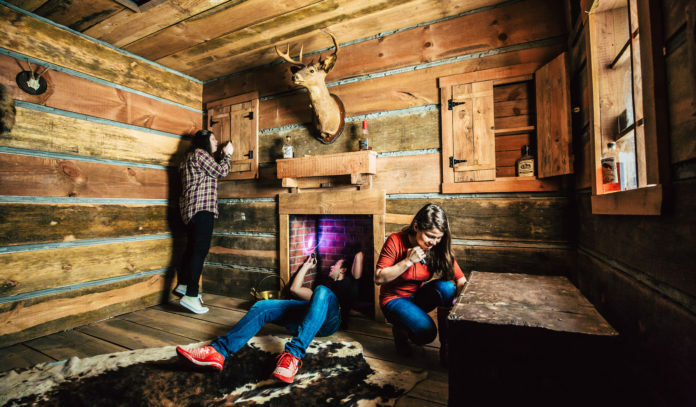 The Escape Game Houston at CityCentre – The newest addition to Houston’s impressive lineup of indoor playlands, the newly opened Escape Game Houston entertains and delights as it puzzles its players. Four distinct 60-minute games and experiences offer you the chance to be an art thief (or catch one), find a prospector’s hidden gold, break out of prison, or get out of a 5th grade classroom early on the last day of school. 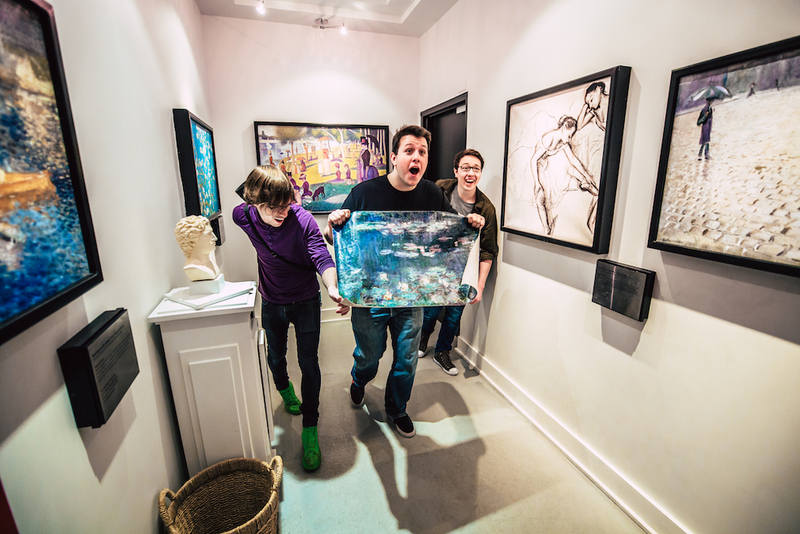 The Escape Game Houston stands out for its professionally crafted challenges, movie set-worthy game room design, and operating prowess gleaned from running sister locations in Chicago, Nashville, Orlando, Minneapolis, Austin, and elsewhere. Most games are playable by two to eight players, plus one designed for four to twelve. Click here to check out the games, learn more, or reserve a game time. Use promocode 365Houston to receive $4 off per person on any game played Monday through Thursday. Click here to book online. 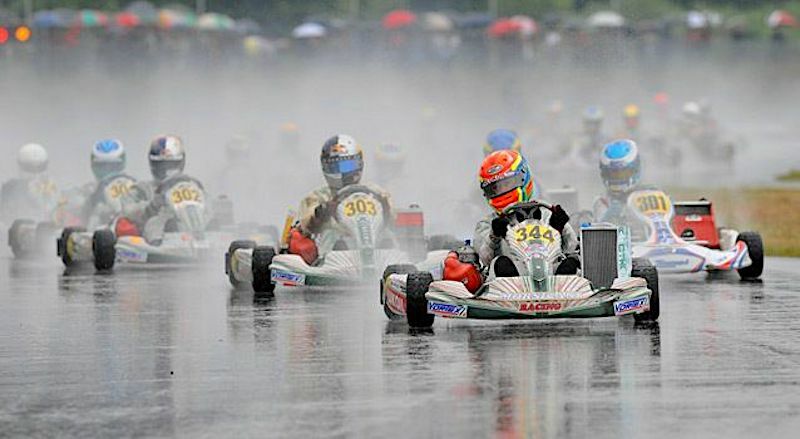 Track 21 in Northwest Houston – This adrenaline-fueled, all-ages playground boasts two indoor go-kart tracks featuring 40-mile per hour racing, a two-story, 8,000-square foot laser tag arena, a nine-hole blacklight mini-golf course, and an arcade full of games. The massive indoor playground is located just off Highway 6, between West Little York and Clay Road. Special pricing and offers are available on weekdays, plus die-hard fans can opt for memberships, offering discounts, access during exclusive hours, special bennies, and other perks. Click here for more information and details. iFly Indoor Skydiving Houston in West Houston and The Woodlands – Take flight without jumping out of a plane at the two Houston locations of the popular iFly. As long as you’re age 3 or older, less than 300 pounds, and not pregnant, you’re welcome to soar. Guests don a flight suit, and enter the flight chamber. Skilled, expert flight instructors help new fliers in navigate their “free fall” in the wind tunnel, but many get addicted to the rush and become repeat, expert fliers in their own right. Experienced fliers frequently engage in multiple flips, group dive experiences. Click here for more information and details. 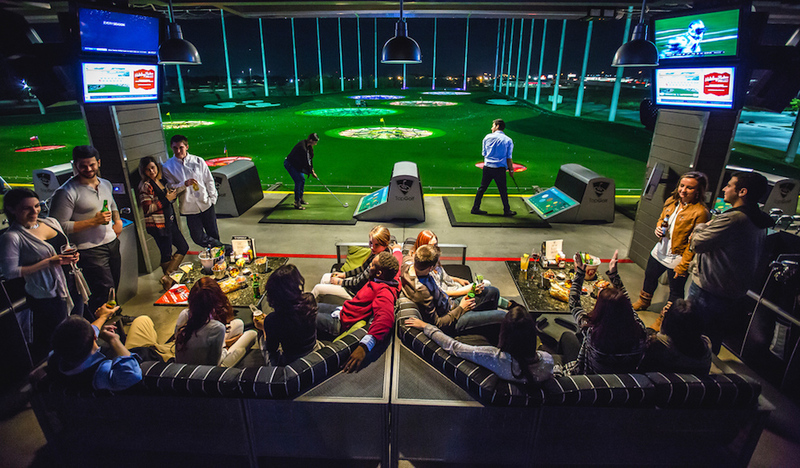 TopGolf in West Houston, Spring & Webster – While it may be counter productive to try for a drive in a rain storm, Houston’s three TopGolf locations are perfect for waiting out the summer heat. The climate-controlled bays invite players to treat golf like bowling, enjoying cocktails, snacks, and other treats while seeing how far they can hit a golfball. With technology tracking enabled, you can get specific feedback on the strength, length, and impact of your stroke. And if you don’t like the results, then drinks! Click here for more information and details. 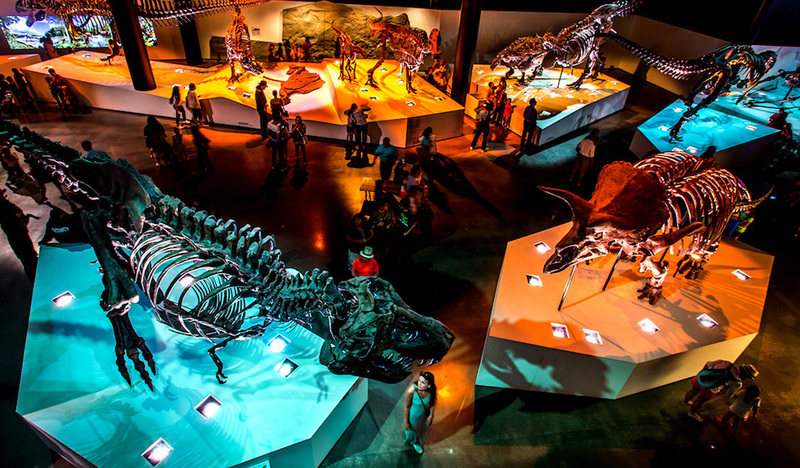 Houston Museum of Natural Science (HMNS) in the Museum District – It’s an oldie but a goodie. The HMNS is one of Houston’s gems, with treasures to reveal all ages. You know you’re in a popular spot when you arrive and the entry hall looks like Grand Central Station. Visitors and members of all ages can peer into the ancient past and explore how the world works. The Hall of Paleontology draws gasps, while visitors continue to be captivated by taxidermied regional animal, jewels and gemstones, a look at oil and energy city, and more (not to mention special exhibitions and updates). Click here for more information and details. This post was sponsored by The Escape Game Houston. Per our advertising policy, we only accept sponsored content from businesses that meet our editorial standards and truly present a valuable activity, resource, or destination for Houstonians and Houston visitors. Click here to learn about promoting your event, product or business. Sponsored List stories are paid promotional placements, purchased by event organizers and businesses to promote their events, products and services. To advertise, these organizations must meet our editorial standards, and truly present a valuable activity, event, resource or destination for Houston area residents and visitors. This advertising revenue directly supports 365 Things to Do in Houston and our contributors, allowing us to expand our coverage of activities and events around the Houston area. Click here to learn more about advertising your event, business, product or service.